Enjoy the 12% discount by booking on our website! Palacio de Mariana Pineda hotel keeps a magnificent central courtyard where a pillar stands out. Its lower part was made by Diego de Siloé (16th century) and its upper section comes from 1644, built by the aristocratic family of Los Pisa. From the central courtyard, you can get access to the different original event rooms and to rooms we offer, most of them with incredible views to La Alhambra and the emblematic Darro River. The mentioned courtyard communicates with the cellar where an ancient well is still kept and was used to take the water from Darro River. Historical past, charm and comfort enjoyed at this hotel make the Palacio Mariana Pineda a place of peace and style in the centre of Granada. Hotel has facilities for your comfort, whether your visit is pleasure or business. Located in a XVII century building from Granada, the hotel is provided with facilities which give it the typical enchantment from Andalusia. 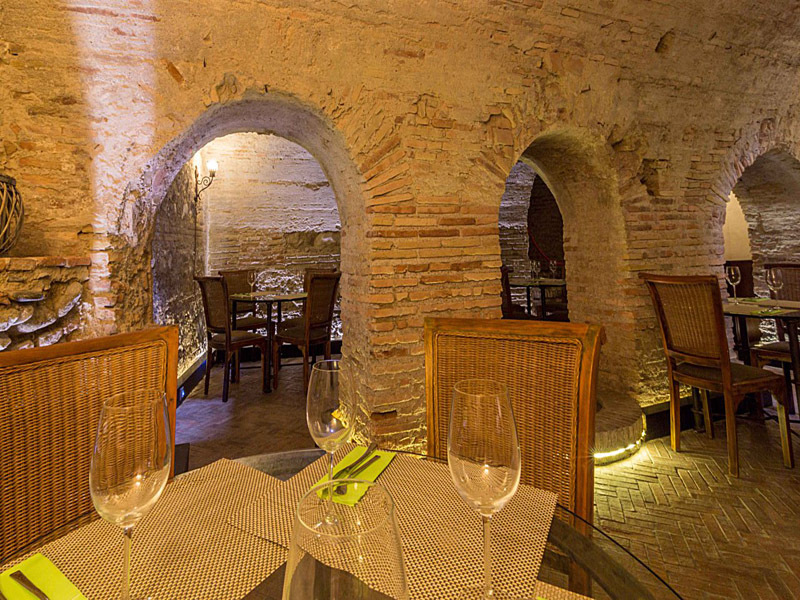 Located in the centre of Granada, we are just a few steps away from the centre.